BILLIONAIRE tycoon and philanthropist Strive Masiyiwa has hit back at exiled former information minister Jonathan Moyo as the social media row over the cyber-bullying Econet founder's wife continues. The Masiyiwas have lately attracted the wrath of some opposition politicians and supporters after the UK-based entrepreneur suggested that President Emmerson Mnangagwa was sincere in his intentions to fix Zimbabwe's economy and should be given a chance. Masiyiwa's wife, Tsitsi, was forced to shut down her Twitter account after coming under a barrage of attacks from what her husband described as social media bullies. "I would like to thank all those friends like Trevor Ncube, who have stood up for my wife whilst she was being cyber bullied, shouted down and stalked on platforms like Twitter," wrote Masiyiwa on his preferred Facebook platform. "Sadly, one of the foremost bullies is a Zimbabwean who works for an international organisation that is highly respected for its work on human rights. Its founder, now 95 is a close family friend. "I hope my human rights friend is happy now that he has stopped her from using Twitter. Maybe now he and others like him will stop this pathetic misogyny." The latter reference to the employee of a human rights organisation – thought to be Dewa Mavhinga who is Southern Africa Director with the Africa Division at Human Rights Watch – attracted the notice of exiled former information minister Prof Moyo. "… & top that by peddling his crap accusation on the Internet while name dropping, in the hope of costing Dewa his job!" But the Econet founder hit back at Moyo, saying; "One former Minister [now champion of democracy] was involved in the shutting down of my newspaper, which was subsequently bombed. Same guy attacking me now!" Masiyiwa was referring to the closure of the Daily News by government in 2003 while Prof Moyo was information minister. The publication had been bombed twice prior to its closure. Apart from the social media criticism on his wife, Strive and his Econet business were also the subject attacks by a South Africa-based blogger supported by two Zimbabwean businessmen. The Econet founder said he was not surprised, having been here before. "Don't you find it curious that the attacks … began after we successfully completed the biggest listing in Zimbabwean history? Hmmm!" 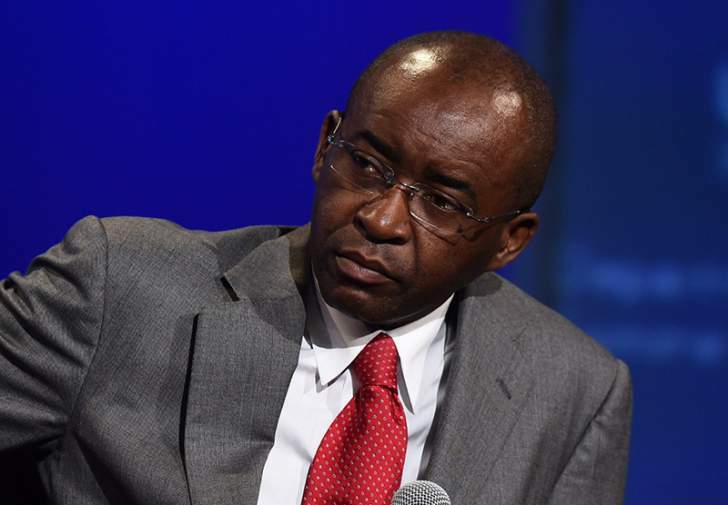 He was referring to the recent separate listing on the Zimbabwe Stock Exchange (ZSE) of Econet's fintech operations, Cassava Smartech. He added; "It also happened when I listed Econet for the first time, some of the people involved in those attacks back then, are some of the same people attacking me now." The tycoon also revealed that despite being subjected vicious social media attacks, his wife, through her Higher Life Foundation, has played a key role in responding to some of crisis to hit Zimbabwe recently. "I have not been to Zimbabwe for 18 and half years, but in all those years my wife insisted she would continue to go there, and was once detained and questioned by Mugabe's police for an entire day," he explained. "She travels the length and breadth of Zimbabwe every year supporting orphaned and vulnerable children. "When the Cholera outbreak began in Zimbabwe a few months ago. It was my wife who showed me the World Health Organisation presentation that predicted that it could kill 10,000 people, if it went unchecked. "She demanded that I put up $10m to cover the cost. Subsequently she asked for another $10m. Now she has asked that I commit $60m to help restore water and sewage piping in Harare. "She is the one who drafted the letters that I had to sign to donors around the world."